Rose gold brush lovers, mark your calendars! On May 8th, Sigma Beauty is releasing a gorgeous limited-edition brush set in every millennial’s favorite color: rose gold. Each brush will have sleek-looking black handles with rose gold ferrules. The set will include 13 of Sigma’s best-selling eye brushes for $152, which is a total steal considering you save about 30 percent when you buy them individually. The Sigma Ultimate Copper Eye brush set is giving us heart-eyes (see what we did there?). We love the subtle rosy pink of the ferrules! The set is a smaller, eye brush focused version of the regular Sigma Beauty Ultimate Copper Brush Set ($199). 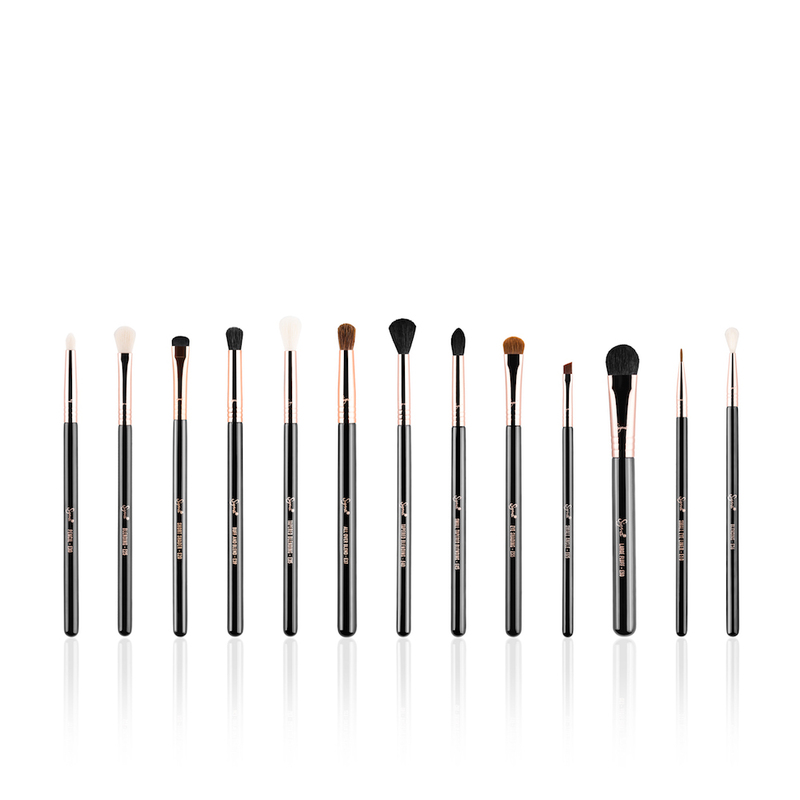 The extended collection contains face and kabuki brushes, whereas the new set will focus on eyes and brows, giving you the brushes you need to create the perfect eye look. Best of all? Each of the brushes features Sigma’s signature synthetic (vegan) bristles. The tips have fibers that are antibacterial, hypoallergenic, and will maintain their original shape and color even after multiple washes. The Ultimate Copper Eye brush set includes: the Small Eye Liner, Short Shader, two blending brushes, pencil, two tapered blending brushes, All Over Blend, Buff and Blend, Small Tapered Blending, Large Fluff, Eye Shading, and a Small Angle brush. Head on over to Sigma Beauty come May 8th, to see if anything strikes your fancy.